Most camping and outdoor chairs fall into two designs: the very common X shape that folds into a rod shaped compact form that fits in a tube bag, and the square flat-type that copies a form dating back to the 1950s. However, while both designs have stood the test of time, neither solve the problem of sitting in a hot sun. So a person either has to lather on the sun tanning lotion or bring an umbrella. This is where the canopy chair from Renetto makes a huge difference. 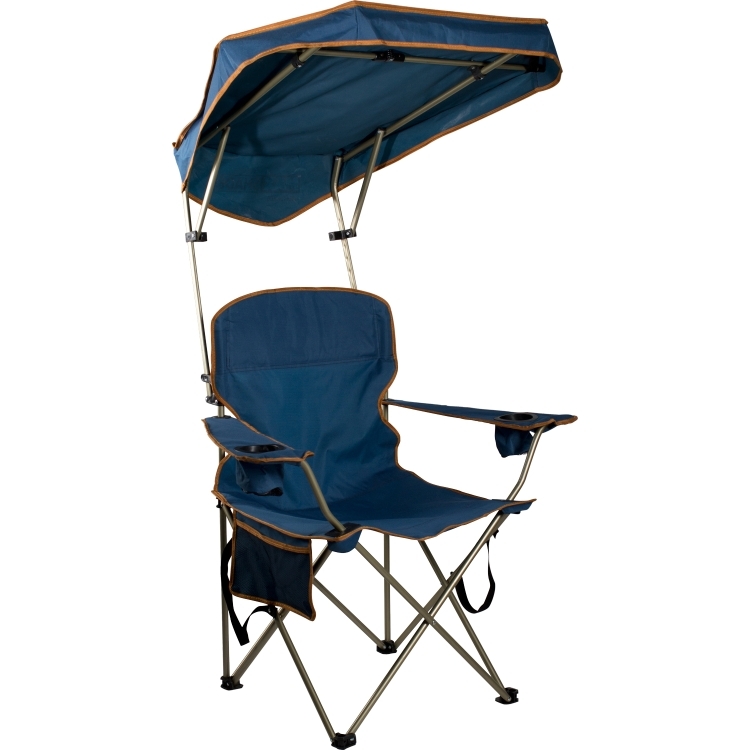 It literally combines the X camping chair design and sun canopy in one package. And the Renetto chair still folds up compact in a square tube shape. Their are multiple canopy chairs on the market, but as many who have used an X-folding chair know, cheap materials means they break very quickly. The Renetto chair was the original canopy offering with a quality fabrication mix that made the idea popular in the first place. This chair approach is particularly useful for those who want to sit outside but not in direct sun but also don’t want to drag a big shade tent for cover. With the compact setup, it’s the best of both worlds.